For the arena on the campus of the University of Illinois at Urbana–Champaign, see State Farm Center. For the arena in Hidalgo, Texas, see State Farm Hidalgo Arena. 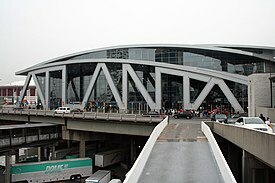 Then-Philips Arena on February 12, 2012. The arena seats 19,050 for basketball and 17,624 for ice hockey. The largest crowd ever for an Atlanta Hawks basketball game at the arena was Game 6 of the 2008 Eastern Conference Quarterfinals on May 2, 2008 (against the Boston Celtics), where there was an announced attendance of 20,425. The arena includes 92 luxury suites, 9 party suites, and 1,866 club seats. For concerts and other entertainment events, the arena can seat 21,000. The arena was originally laid out in a rather unusual manner, with the club seats and luxury boxes aligned solely along one side of the playing surface, and the general admission seating along the other three sides (the arrangement was later emulated in Ford Field, UCF Arena, Soldier Field, Levi's Stadium, and other venues). This layout was a vast contrast to many of its contemporaries, which have their revenue-generating luxury boxes and club seats located in the 'belly' of the arena, thus causing the upper deck to be 2–4 stories higher. The layout at Philips was done so as to be able to bring the bulk of the seats closer to the playing surface while still making available a sufficient number of revenue-raising club seats and loges; however, the 2017–18 renovations had removed the upper levels of the suite wall in favor of premium seating spread throughout the arena. On the exterior, angled steel columns supporting the roof facing downtown spell out "ATLANTA." The side facing the Georgia World Congress Center originally spelled out "CNN" (whose headquarters adjoins the arena), but that section has since been altered to accommodate a Taco Mac restaurant. The Dome/GWCC/Philips Arena/CNN Center rail station below the arena provides access to MARTA public transportation. Amsterdam-based technology company Philips purchased the initial naming rights to the arena in February 1999 for $185 million over 20 years. In February 2018, it was reported that Philips would not renew its naming rights agreement for the arena when it expires in June 2019, primarily due to Philips' withdrawal from the consumer electronics market in 2013. On August 29, 2018, State Farm purchased the naming rights to the arena, in a deal that will last for 20 years and cost $175 million. For the 2007–2008 season, State Farm Arena utilized the new "see-through" shot clock units which allow spectators seated behind the basket to see the action without having the clocks interfere with their view, joining FedExForum, Wells Fargo Center, TD Garden, United Center, Talking Stick Resort Arena and the Spectrum Center. Video advertising panels replaced the traditional scrolling panels. During the late 1980s and early 1990s, many cities started building new state-of-the-art sporting venues for their NBA and/or NHL franchises, or in hopes of attaining one. Many of these arenas had modern amenities for their high-end customers, such as luxury boxes, club seats, and large, posh club-level concourses; some even had practice facilities on-site. These attractions were rarely found in arenas constructed in the early 1970s, when the Omni Coliseum was built. However, it is likely that the Omni would have had to be replaced in any event. It had been built using Cor-Ten weathering steel that was intended to seal itself, ensuring it would last for decades. However, the Omni's designers didn't account for Atlanta's humid climate. The Cor-Ten steel never stopped rusting, causing the arena to deteriorate faster than anticipated. Ted Turner, owner of the Hawks at the time, wanted to bring NHL hockey back to Atlanta; the city's first NHL team, the Atlanta Flames, had moved to Calgary in 1980. However, the NHL determined that the Omni was not suitable even as a temporary facility due to its lack of amenities and structural problems. The league told Turner that it would only grant an expansion team on condition that a new arena be in place for the prospective team's inaugural season. After much consideration of possible other sites both in Downtown Atlanta and in the suburbs, it was decided that the Omni would be demolished in 1997, and a new arena would be built in the same location; the Omni was demolished on July 26, 1997. The Hawks split their games between the Georgia Dome and Alexander Memorial Coliseum for the next two seasons while Philips Arena was under construction. Philips Arena held its first event with a September 1999 concert by the musician Sir Elton John. The Omni's "center-hung scoreboard" now hangs in the lobby of Philips Arena, where it still displays the Omni's logo along with those of Philips Arena, the Hawks, and the Thrashers (who never played in The Omni). The scoreboard still functions and displays information relevant to the game taking place in the arena. On April 2, 2009, Philips Arena achieved LEED for Existing Building: Operations and Maintenance certification as specified by the United States Green Building Council (USGBC). It was the world's first LEED certified NBA/NHL arena. It has been nicknamed the "Highlight Factory", due to the number of exciting plays, or highlights, that occur and Philips' history with lights and electronics. The arena hosted the NBA All-Star Game in 2003 and the Atlantic Coast Conference Men's Basketball Tournament in 2012. 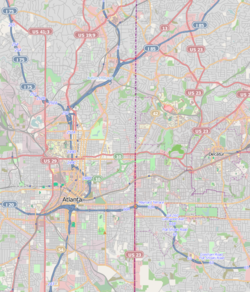 The first playoff game in any professional league played in Philips Arena was in 2005, when the Georgia Force of the Arena Football League hosted, and won, its first home playoff game. The first NHL playoff game in Philips Arena was in 2007, the Thrashers' only appearance in the Stanley Cup Playoffs. The first NBA playoff game in Philips Arena was in 2008, when the Hawks made the 2008 NBA Playoffs after an eight-season drought of missing the playoffs. On April 10, 2011, the Thrashers lost to the Pittsburgh Penguins, 5–2, in their final game. Tim Stapleton scored the final goal for the Thrashers in team history. The venue had been named the site of the 2005 Southeastern Conference Women's Basketball Tournament; however, when the NHL announced in early 2004 that the 55th NHL All-Star Game, scheduled for February 2005 would be held in Atlanta, arena officials withdrew the Southeastern Conference Women's Basketball Tournament – which was then moved 140 miles to the northeast along Interstate 85 to the BI-LO Center in Greenville, South Carolina. Oddly, the arena would not even be the host of that planned All-Star Game due to the 2004–05 NHL lockout. 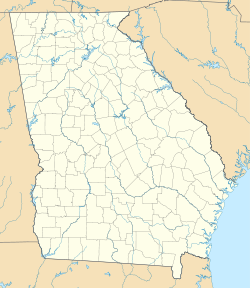 As a result, Atlanta became the second (San Jose being the first) city to lose a planned All-Star Game because of a labor dispute. Philips Arena would later be announced as home to the 56th NHL All-Star Game in 2008. Also, Philips Arena hosted game three of the 2010 WNBA Finals, where the Seattle Storm defeated the Atlanta Dream. In 2013, Philips Arena hosted the finals of the men's NCAA Division II and Division III college basketball championships. The events were held as an undercard to the 2013 NCAA Final Four held at the Georgia Dome, in celebration of the 75th edition of the NCAA Men's Division I Basketball Championship. The arena hosted UFC 88, UFC 145, UFC 201, and UFC 236 in 2008, 2012, 2016 and 2019 respectively. Philips Arena also hosted the 2011 WWE Hall of Fame induction ceremony, the night before WrestleMania XXVII which was held at the Georgia Dome. Philips Arena also hosted Royal Rumble (2002), Backlash (2007), Royal Rumble (2010), Hell in a Cell (2012), and Survivor Series (2015). An edition of WCW Monday Nitro was also held when the arena was known as 'The Philips Arena' on June 5, 2000. State Farm Arena is among the busiest arenas for concerts in the world, having sold well over 550,000 concert tickets in 2007 and ranked as the third-busiest arena in the U.S. in 2011. September 24, 1999 Elton John — Medusa Tour 18,919 / 18,919 $966,802 The first event held at the arena. Christina Aguilera FanMail Tour — — This concert was filmed for a PayPerView special, TLC: Sold Out. Goodie Mob made a special appearance to perform their song, "What it Ain't". August 7, 2000 Pearl Jam Sonic Youth Binaural Tour — — This concert was recorded for the album 8/7/00 – Atlanta, Georgia. July 15, 2005 Destiny's Child — Destiny Fulfilled... and Lovin' It 12,972 / 12,972 $1,256,284 This concert was filmed for the DVD, Destiny's Child Live in Atlanta. December 2, 2006 Dixie Chicks — Accidents & Accusations Tour — — This show was originally scheduled for October 17, but was rescheduled for Melbourne show. December 18, 2006 The Killers — Sam's Town Tour — — This concert was a part of "99X Mistletoe Jam". February 27, 2007 Justin Timberlake P!nk FutureSex/LoveShow 16,638 / 16,638 $1,129,984 T.I. was the special guest. October 1, 2011 Taylor Swift — Speak Now World Tour 26,244 / 26,244 $1,726,661 Usher and T.I. were the special guests. July 26, 2012 Aerosmith Cheap Trick Global Warming Tour — — Aerosmith performed a clip of "Woman of the World". The song hadn't been played anywhere since 1974. Brett Eldredge The Red Tour 25,471 / 25,471 $2,048,023 B.o.B was the special guest. October 19, 2013 Rod Stewart Steve Winwood Live the Life Tour 7,596 / 9,518 $626,539 Postponed from April 28. October 15, 2014 Paul McCartney — Out There 13,044 / 13,044 $2,016,129 This concert was originally planned to take place on June 21 but was rescheduled due to illness. February 19, 2015 Maroon 5 Magic! January 20, 2016 Madonna Lunice Rebel Heart Tour 10,609 / 10,609 $1,500,635 This concert was originally scheduled to take place on September 2, 2015 but was postponed due to arrangement logistics being incomplete within the time given. Moxie Raia Purpose World Tour 25,717 / 25,717 $2,726,349 Ludacris, Usher, and Akon were special guests. May 18, 2016 Rihanna Travis Scott Anti World Tour 14,397 / 14,397 $1,249,535 This concert was originally scheduled to take place on March 9, but was postponed due to "production delays". Migos Future Now Tour 7,112 / 7,372 $410,165 T.I. was the special guest. dvsn Summer Sixteen Tour 28,864 / 28,864 $3,106,599 2 Chainz was the special guest at the first show. Usher and Young Thug were special guests at the second show. Gucci Mane appeared at both shows. Jack Irons The Getaway World Tour 13,104 / 13,104 $1,225,612 The band shot the music video for their song "Goodbye Angels". December 17, 2017 Janet Jackson — State of the World Tour 12,399 / 12,399 $789,188 Missy Elliott was the special guest performing "Burnitup!". Additionally, Jackson performed her 2006 single "So Excited". The arena hosted the 2004 US Figure Skating Championships. Every year in January, the State Farm Arena hosts one of the largest Christian college aged conferences: Passion Conference. The conference typically takes place over the first weekend in the new year and features big names in the Christian world such as Louie Gigilio, Chris Tomlin, Matt Redman, Kristian Stanfill, John Piper, rap artist Lecrae and many more. The conference is typically sold out. Shortly after acquiring the Hawks and the operating rights to Philips Arena on June 24, 2015, Tony Ressler announced his intentions of remodeling the arena to keep the Hawks in Downtown Atlanta at a cost between $150 million and $250 million. The proposed renovation would rebuild the entire seating bowl to optimize its sightlines for basketball and remove the wall of suites which dominate one side of the arena and replace them with a more traditional suite configuration. The Hawks are also in discussions with the city about building a mixed-use entertainment district similar to L.A. Live around Philips Arena, to better connect it to other nearby attractions such as Centennial Olympic Park and Mercedes-Benz Stadium. On November 1, 2016, the Hawks and the city of Atlanta reached a financing agreement on renovating Philips Arena, with the city contributing $142.5 million and the Hawks $50 million plus cost overruns to the project. With the renovation, the Hawks signed a lease extension lasting through June 30, 2046, with an early termination penalty of $200 million plus the remaining balance of the arena's bonds. The first phase of renovations, completed during the Hawks' 2017 off-season, removed the upper levels of the suite wall, reducing the total number of suites from 90 to 40, and added the Courtside Club behind one of the baskets. Renovations for 2018 were described by Hawks chief operating officer Thad Sheely as a "gut rehab". The arena renovations brought new premium seating areas, connected 360-degree concourses, a new center-hung videoboard three times larger than its predecessor as well as additional videoboards in the corners of the upper decks, new dining options including a bar and grill operated by country group Zac Brown Band and other unique features including an in-arena barber shop operated by Atlanta rapper Killer Mike and Topgolf suites. Over 100,000 sq ft (9,290 m2) of former office and storage space within the arena was repurposed as "fan space". The first ticketed event at the renovated State Farm Arena was So So Def's 25th anniversary concert on October 21, 2018, while the Hawks' first regular season home game took place on October 24 against the Dallas Mavericks. 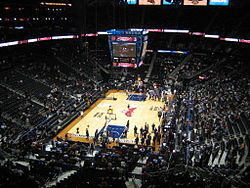 Due to the renovations conflicting with the WNBA schedule, the Dream announced that they would move their 2017 and 2018 home schedules to McCamish Pavilion on the campus of Georgia Tech, mirroring the Hawks' move to the same venue (then known as Alexander Memorial Coliseum) between the time the Omni was razed and State Farm Arena was built. With the release of the 2019 WNBA schedule on December 18, 2018, the Dream confirmed that they would be returning to State Farm Arena. On March 14, 2008, an EF1 Tornado struck near Philips Arena. The arena only received minor exterior damage. ^ a b "2012-13 Atlanta Hawks Media Guide" (PDF). Atlanta Hawks. p. 295. Retrieved December 21, 2012. ^ "2013-14 Atlanta Hawks Media Guide" (PDF). Atlanta Hawks. p. 282. Retrieved January 28, 2015. ^ "2014-15 Atlanta Hawks Media Guide" (PDF). Atlanta Hawks. p. 288. Retrieved January 28, 2015. ^ Vivlamore, Chris (September 27, 2017). "Renovations Will Reduce Philips Arena Seating Capacity". The Atlanta Journal-Constitution. Retrieved October 2, 2017. ^ "2018-19 Atlanta Hawks Media Guide" (PDF). Atlanta Hawks. 2018. p. 299. Retrieved January 27, 2019. ^ "Turner Hopes Arena a Start On Bigger Plan". The Atlanta Journal-Constitution. June 6, 1997. ^ "Philips Arena". Ballparks.com. Retrieved April 16, 2018. ^ "Sports/Entertainment Brochure" (PDF). Thornton Tomasetti. Retrieved April 16, 2018. ^ "Philips Arena". M-E Engineers, Inc. Archived from the original on 23 July 2012. Retrieved 16 April 2018. ^ a b c "Philips Arena Media Guide". Philipsdarena.com. Retrieved 16 April 2018. ^ Muret, Don. "Sources: Philips Won't Renew Naming Rights". Venues Today. Retrieved February 15, 2018. ^ "State Farm and Atlanta Hawks Basketball Club Announce Generational Collaboration To Transform City of Atlanta". Hawks.com (Press release). NBA Media Ventures, LLC. August 30, 2018. Retrieved August 31, 2018. ^ "Welcome to the Neighborhood". StateFarmArena.com. Retrieved August 31, 2018. ^ Vivlamore, Chris (August 30, 2018). "Hawks Reach Arena Naming Rights Agreement with State Farm". The Atlanta Journal-Constitution. Retrieved August 31, 2018. ^ "Liddell-Evans Headlines UFC 88 in Atlanta on September 6". UFC.com. Archived from the original on June 19, 2008. Retrieved June 17, 2008. ^ Critchfield, Tristen (May 4, 2016). "Robbie Lawler vs. Tyron Woodley Targeted for UFC 201 Headliner in Atlanta". Sherdog. Retrieved May 4, 2016. ^ Pavia, Will (January 5, 2008). "From Unwanted Empty Shell to the World's Busiest Venue". The Times. London. ^ Ruggieri, Melissa (February 14, 2012). "Philips Arena Ranked Third Busiest in the Nation". The Atlanta Journal-Constitution. Archived from the original on July 7, 2012. Retrieved February 14, 2012. ^ "YouTube". Youtube.com. Retrieved April 16, 2018. ^ Dickerson, James L. (2001). Faith Hill: Piece of My Heart. Macmillan Publishers. ISBN 0-312-28195-1. pp. 139–140. ^ Saraceno, Christina (October 20, 2000). "N Sync's Would-Be Assassin's Plot Foiled". Rolling Stone. Archived from the original on August 26, 2011. Retrieved August 25, 2011. ^ Murry, Sonia (September 9, 2001). "Janet Jackson a Hit at Philips No Sign of Recent Illnesses During Energetic Show". The Atlanta Journal-Constitution. p. E.16. 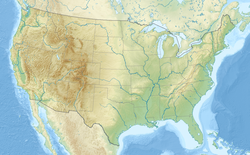 ^ "Monday, November 5th, 2001 – Atlanta, GA – Phillips Arena » Jimmy Buffett World". Buffettworld.com. Retrieved April 16, 2018. ^ "DMBAlmanac.com²". Dmbalmanac.com. Retrieved 16 April 2018. ^ "Saturday, February 1st, 2003 – Atlanta, GA – Phillips Arena » Jimmy Buffett World". Buffettworld.com. Retrieved April 16, 2018. ^ "Wednesday, April 25th, 2007 – Atlanta, GA – Phillips Arena » Jimmy Buffett World". Buffettworld.com. Retrieved April 16, 2018. ^ Kloer, Phil (April 28, 2009). "Springsteen Rocks Hard". The Atlanta Journal-Constitution. Archived from the original on June 22, 2011. Retrieved April 29, 2009. ^ Ruggieri, Melissa (April 7, 2011). "Sade Returns with New Tour, Hits Collection". The Atlanta Journal-Constitution. Archived from the original on August 11, 2011. Retrieved May 31, 2011. ^ Copeland, Larry (October 29, 2011). "Jay-Z and Kanye's joint tour opens in Atlanta". USA Today. Retrieved October 29, 2011. ^ "JAY-Z AND KANYE WEST KICK OFF 'WATCH THE THRONE' TOUR IN ATLANTA". Rap-Up. October 29, 2011. Retrieved October 29, 2011. ^ "Jay-Z And Kanye West Kick Off Their Watch The Throne Tour In Atlanta". Idolator. October 29, 2011. Retrieved October 29, 2011. ^ Cohen, Robb (November 3, 2011). "Axl Rose and Guns N' Roses Rock Out Philips Arena Wednesday Night". The Atlanta Journal-Constitution. Archived from the original on January 6, 2012. Retrieved June 19, 2012. ^ "Rod Stewart Reschedules "Live The Life" Tour Dates". Rod Stewart. February 8, 2013. Retrieved February 18, 2013. ^ Lawrence, Jesse (May 5, 2014). "After Initial Rise, Prices For Lady Gaga Tickets Starting To Dip For ARTPOP Ball Dates". Forbes. Archived from the original on May 10, 2014. Retrieved May 5, 2014. ^ Ruggieri, Melissa (May 13, 2014). "Concert review: Cher says goodbye to Atlanta with a sequined spectacle". Access Atlanta. Archived from the original on May 17, 2014. Retrieved May 15, 2014. ^ Ruggieri, Melissa (September 20, 2014). "Concert Review: Garth Brooks Roars in Atlanta Return". The Atlanta Journal-Constitution. Retrieved June 17, 2015. ^ Hall, Tara. "Garth Brooks breaks record with Chicago, Atlanta shows and ticket sales". SoundSpike. Retrieved September 5, 2015. ^ "Paul McCartney June Dates Re-Scheduled To October". PaulMcCartney.com. June 9, 2014. Retrieved June 9, 2014. ^ Ruggieri, Melissa (August 20, 2015). "The Weeknd Announces Fall Tour, Including Atlanta Concert". The Atlanta Journal-Constitution. Retrieved November 7, 2016. ^ "Madonna Reschedules First Five Rebel Heart Tour Dates". Billboard. May 21, 2015. Archived from the original on May 22, 2015. Retrieved May 21, 2015. ^ "Watch Justin Bieber and Ludacris Perform "Baby" Like It's 2010 All Over Again". TeenVogue. Retrieved April 14, 2016. ^ "Watch Justin Bieber and Usher Reunite on Stage". TeenVogue. Retrieved April 14, 2016. ^ Ruggieri, Melissa (June 30, 2016). "Demi Lovato and Nick Jonas Launch Tour in Atlanta with Heart and Soul". The Atlanta Journal-Constitution. Retrieved June 30, 2016. ^ Estevez, Marjua (June 30, 2016). "Demi Lovato & Nick Jonas Open Tour In ATL With Hometown Hero T.I." vibe.com. SpinMedia. Retrieved June 30, 2016. ^ "Concert review: Bon Jovi Proves Resiliency on 'This House is Not for Sale' Tour". The Atlanta Journal-Constitution. February 9, 2017. Retrieved June 22, 2016. ^ Smith, Chad (April 14, 2017). "Wear something colorful tonite Atlanta! Shooting Goodbye Angels videopic.twitter.com/IyzRQESH0k". Twitter.com. Retrieved June 27, 2017. ^ Stafford, Leon (December 18, 2017). "Concert review: Janet Jackson "Controls" Atlanta at Philips Arena". The Atlanta Journal-Constitution. Retrieved December 24, 2017. ^ Trubey, J. Scott; Vivlamore, Chris (October 22, 2015). "Atlanta may help pay for arena remodel to keep Hawks downtown". The Atlanta Journal Constitution. Retrieved August 3, 2016. ^ Bluestein, Greg; Trubey, J. Scott (March 7, 2016). "Hawks, city in talks for entertainment district at Philips Arena". The Atlanta Journal-Constitution. Retrieved August 3, 2016. ^ Trubey, J. Scott; Vivlamore, Chris. "Kasim Reed announces deal to keep Hawks in Philips Arena". The Atlanta Journal-Constitution. Retrieved November 2, 2016. ^ Tucker, Tim. "LEADOFF: Hawks 'set to begin' Philips Arena renovation today". The Atlanta Journal-Constitution. Retrieved June 26, 2017. ^ Tucker, Tim. "Extreme makeover is transforming Philips Arena". The Atlanta Journal-Constitution. Retrieved June 9, 2018. ^ "Zac Brown's Social Club". Atlanta Hawks. Retrieved April 30, 2018. ^ "The New Philips Arena Entertainment". Atlanta Hawks. Retrieved April 30, 2018. ^ Oliviero, Helena; Tucker, Tim (October 24, 2018). "Fans appreciate open feel of Hawks' new home". The Atlanta Journal-Constitution. Retrieved October 26, 2018. ^ Ruggieri, Melissa (October 22, 2018). "Concert review: So So Def 25th anniversary concert opens State Farm Arena with hits, surprise guests". The Atlanta Journal-Constitution. Retrieved October 26, 2018. ^ Vivlamore, Chris. "What Philips Arena renovations will mean for Hawks seasons". The Atlanta Journal-Constitution. Retrieved August 24, 2016. ^ "Atlanta Dream Unveil 2019 Schedule". Atlanta Dream. Retrieved December 20, 2018. Wikimedia Commons has media related to Philips Arena.